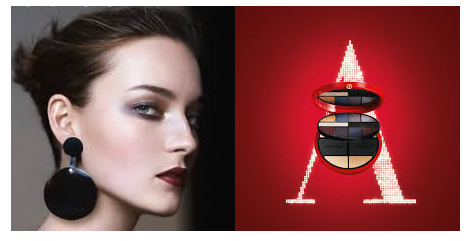 For the 2017 Christmas season, Giorgio Armani Beauty embarks on a celebration of timeless feminine beauty – updated, re-energised and re-interpreted. Light, luminous, flawless, decadent – a new wardrobe of collectors’ items capture the spirit of the festive season. 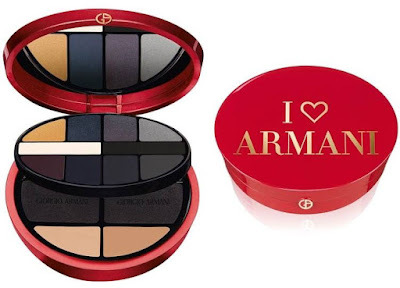 Developed by Linda Cantello, Giorgio Armani International Make-Up Artist, the collection shines bright through the winter season. Crisp, cold day or starry night, whatever the occasion, the Christmas Palette is the collection’s protagonist. An object of desire, two tiers hold all that is needed to create a made to measure look. The first tier is all about eyes, which get dressed in 10 new eyeshadows. From luminous white to translucent black, via mulberry, navy and slate – eyes can be illuminated, defined and emboldened according to each occasion and one’s mood. Five shades are pearly and drape lids in light-reflecting colour to create an elegant, multi-dimensional effect. Five shades are matte: the new, advanced “dry matte” technology blends seamlessly, to deliver lasting drama that maintains a comfortable, creamy feel on the skin. Mix, blend and bespoke using the two eye shadow applicators: together the new pearl and matte shades promise limitless ways of expressing individual beauty. The second tier is all about flawless complexion. A sophisticated matte finish comes courtesy of the Luminous Silk Compact. Intelligent, intuitive, the pioneering formula adapts to the skin tone in just one, universal shade. To complement and perfect, two creamy shades of Giorgio Armani’s iconic Maestro Fusion Make-up nestle within the compact, accompanied by two sponge applicators. Conceal, correct, contour, add intense drama to the eyes. Inscribed with the affirmation, Armani the Holiday Palette comes in a discreet black pouch. 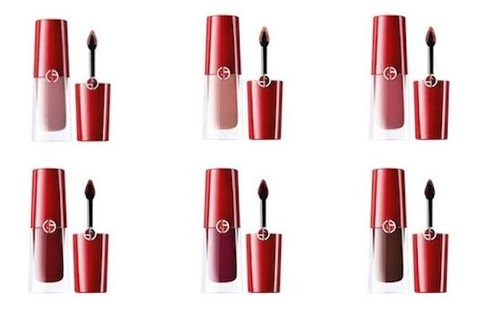 The liquid lipstick formulation fuses instantly with the lips – as if magnetically attracted to each other. Lip Magnet promises incomparable colour with a fine, weightless texture that finishes the look with a sensory matte finish for effortless lips.